The Asian Universities Forum (AUF) was initiated by Dr. Yeon-Cheon OH, President of Seoul National University, in order to promote greater understanding and cooperation among prestigious universities in Asia. The first AUF was organized in Seoul, Republic of Korea, on December 1st-3rd, 2011, which was attended by 70 participants including 24 university presidents. 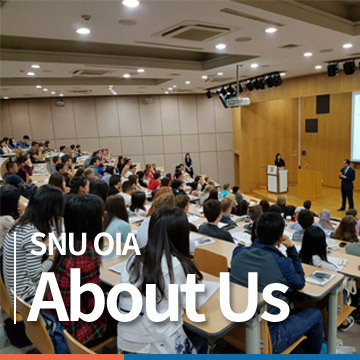 The Office of International Affairs, Seoul National University, has acted as the Secretariat of the Asian Universities Forum since 2011. The second AUF was held between January 24th-26th, 2013 at Chulalongkorn University in Thailand. It was co-hosted by Seoul National University and Chulalongkorn University and attended by 22 universities from 13 countries. The Association of Pacific Rim Universities (APRU) is a consortium of 42 leading research universities in the Pacific Rim. Established in 1997, the consortium aims to foster cooperation in education, research and enterprise, thereby contributing to the economic, scientific and cultural advancement of the Pacific Rim. 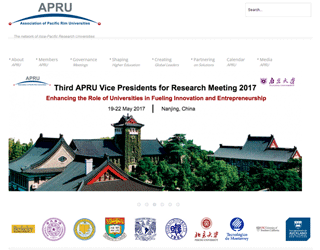 Seoul National University is a founding member of APRU. In addition, our president is a member of the Steering Committee of APRU, which provides leadership and guidance for the association. 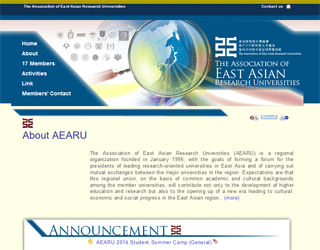 The Association of East Asian Research Universities (AEARU) is a regional organization founded in January 1996, with the goals of forming a forum for the presidents of leading research-oriented universities in East Asia and for mutual exchange between major universities in the region. Expectations are that this regional union, on the basis of common academic and cultural backgrounds among the member universities, will contribute not only to the development of higher education and research but also to the opening of a new era leading to cultural, economic and social progress in the East Asian region. Seoul National University is a founding member of AEARU. The Asian Universities Alliance is jointly established by 15 representative universities in Asia in response to the developing trend of higher education in Asia. 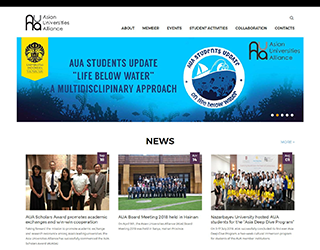 The mission of AUA is to jointly address regional and global challenges, specifically related to higher education and economic, scientific and technological development, by strengthening collaboration among member institutions. AUA acknowledges and promotes shared identity and values in working towards this mission. BEIJING-SEOUL-TOKYO-HANOI BESETOHA is a forum in which four representative East Asian Universities—Peking University, Seoul National University, the University of Tokyo and Hanoi National University—meet to discuss the latest academic achievements and future directions of university education, basic education and educational culture. The BESETOHA forum takes its name from the names of the attending universities. Seoul National University hosted the forum in 2002, 2005, and 2009. The Joint Symposium between Seoul National University and Hokkaido University was officially launched in 1998 at HU with the purpose of facilitating cooperation and exchange in academic and research between the two universities. The Symposium is held annually to focus on the current issues. Satellite sessions are provided concurrently in order to extend the opportunities to various fields of studies.